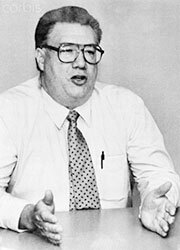 Richard W. Miller was a 20 veteran of the FBI, but his career would end abruptly as he became the first FBI agent ever convicted of espionage. Miller was born in Wilmington, a working- class section of Los Angeles in 1936.He met his future wife, Paula when they were children and the two were students together at Brigham Young University. Miller majored in English and minored in Spanish. He married Paula after their graduation. 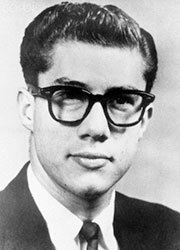 He was recruited by the FBI in 1964 while still at BYU, the bureau in need of agents with clean records who knew how to speak Spanish. Overall, he seemed to be primed to be terminated from his position. Instead, he was primed to fall into a Russian honey trap. Miller was married with eight children but his wife Paula divorced him and he was excommunicated from the Church of Latter Days Saints because of an affair he engaged in with Svetlana Ogorodnikova beginning in 1984. Svetlana was married to Nikolai Ogorodnikova, the couple having immigrated from Russia in 1973. Miller turned over classified information to Svetlana including an FBI counterintelligence manual. In return, Svetlana provided sexual favors, $15,000.00 in cash and $50,000.00 in gold. Miller was arrested as he was planning to travel to Vienna, Austria, where Svetlana had arranged for him to meet with a KGB agent. The Ogorodnikovas were also arrested and plead guilty to one count of conspiracy to commit espionage, although Svetlana claimed that Miller never actually gave her any classified information. Nickolai was sentenced to eight years imprisonment and Svetlana to eighteen years. Miller pleaded not guilty to the charges brought against him and his first trial ended in a mistrial. After his second trial, however, he was found guilty on June 19, 1986 of committing espionage and bribery and was sentenced a month later to two consecutive life terms and 50 years on other charges. He appealed the verdict and it was overturned in 1989 when U.S. District Judge David Kenyon said that the trial judge erred in admitting polygraph evidence during the trial. He was granted $337,000.00 bail while awaiting a new trial. Miller’s third trial ended with him being convicted October 9th, 1990 on all counts of espionage. On February 4th, 1991, he was sentenced to 20 years in Federal prison and his conviction was upheld on January 28th, 1993. A federal judge, however, reduced Miller’s sentence to 13 years and he was released from prison on May 6th, 1994. He was the first FBI agent ever convicted of committing espionage against the United States.